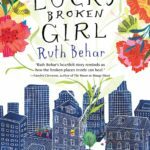 Throughout Ruth Behar’s newest novel – this one, her first book for young adult readers—one can’t help but feel that the author has an utterly uncanny knowledge of her characters and her subject; not a single false note is struck in the book’s 230 pages. This shouldn’t be surprising; Behar is known for producing work that is deeply empathic, thoughtful, and sensitive. Across her body of writing, she plumbs emotional depths that elude many other writers who share her interest in aspects of Cuba and Cuban identity, subjects, of course, that that tend to be charged, tinted by tangled, complicated emotions that often obscure the points of view and feelings of others. Behar, without fail, always seems to be writing with the goal of honoring her own history, experiences, and feelings, without ever denying or excluding those of others, and in Lucky Broken Girl the achievement of this goal is evident on every page. Readers of fiction often wonder whether some aspect of a novel is biographical. “Is this based on your own life?” is that persistent, broken record question posed to authors in nearly every interview. We want to know, don’t we, whether the writer’s life is so pock-marked with pain, whether they have ever felt broken, and whether and how they healed. In Lucky Broken Girl it’s not only the profound self-awareness and emotional maturity of both writer and narrator that make the reader wonder “Is this a memoir disguised as novel?”, but also the protagonist’s name. The main character is Ruthie, and her life story – well, up to fifth grade, when the reader meets her – shadows Behar’s for the reader who is aware of this. Ruthie has moved from Cuba to New York and finds herself trying, as her parents and brother are, too, to negotiate their new homeland, a new language, and new identities. Ruthie’s mother wants both to forget Cuba and hang onto it for dear life, and it is she who has, perhaps, the most difficult transition. Ruthie, for her part, understands this, and early on we see her empathetic nature as she becomes something of a parent figure to her own mother, helping her navigate a language, a city, and lifeways she doesn’t understand. Ruthie decodes America for her mother and is far more patient with the temperamental Mami than her mother deserves. This is especially true after a family tragedy leaves Ruthie dependent upon her mother. Ruthie’s need is a burden for her mother, who becomes resentful and who withholds love when Ruthie needs it most. One’s curiosity about the parallels between Ruthie the character and Ruth the author intensifies after the tragedy, which renders Ruthie bedridden. The vivacious and kind girl is missing out on life – at school, outside, even in her own home. Her family members, meanwhile, are each immersed in their own sorrows and struggles, and they find it difficult to give Ruthie the love and care she needs. Only Joy, a visiting teacher and hippie, and Chicho, a Mexican-American neighbor who introduces Ruthie to the story of Frida Kahlo and the joys of art, nurture Ruthie unconditionally and help her adjust not only to America, but also to her new body and to her evolving sense of self. Much earlier in the book, Ruthie’s grandmother tells her, “My life has become a story. One day your life will become a story too.” Behar’s life has been one powerful story after another, and she has written about many of them, to our great benefit. At the novel’s conclusion, she admits that there are moments when she is wounded and she becomes “small again,” like Ruthie, and it becomes “very hard, very, very, very hard for me to get up again.” But in the novel – as in her own life – Behar does not shrink away from the pleasure and the pain of what it means to be alive. By caring for the broken girl, she says – and by writing – Behar is able to “set forth on the next journey, entrusting myself to the beauty and danger of life all over again.” Here’s hoping that Lucky Broken Girl will make it into the hands of many girls who will need to read that message that Behar delivers so sensitively and beautifully. 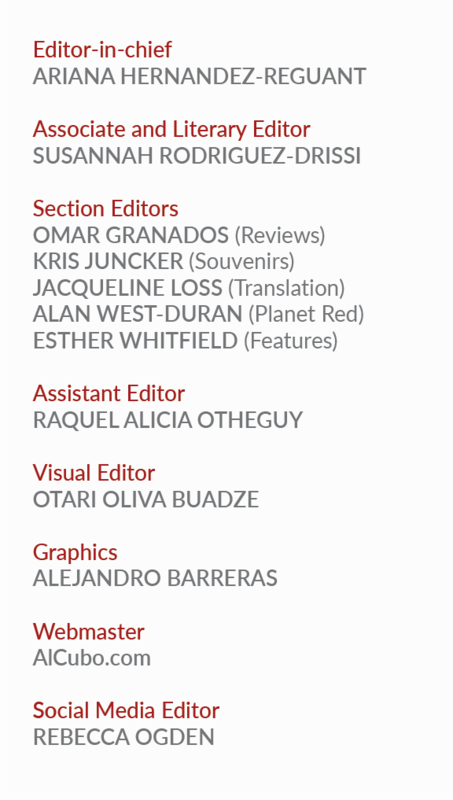 Julie Schwietert Collazo is an award-winning, bilingual writer and journalist whose work about Latin America has appeared in a variety of print magazines, books, and online publications over more than fifteen years. She has lived in Mexico City and Puerto Rico and currently lives in New York City.